Water, Propylene Glycol, Tetrasodium Methylparaben, Propylparaben, Yellow 6. DIRECTIONS: Incorporate the liquid color into formula slowly, using amount as desired. Adding this color to a white base will produce a beautiful pastel color. Adding this color to a clear base will produce a stained glass clear color. 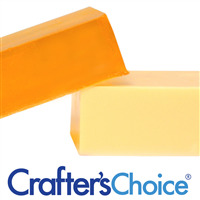 "great for soaps and fizzies"
COMMENTS: Came out a bright orange in my clear soap and a soft orange in my 3 butter soap. Very pleasant color. COMMENTS: This color is a darker orange than the citrus orange, but is nice. Pastel in white based products. COMMENTS: I use this in MP, in liquid soap/shower gels, and in jelly soap and it gives a really rich color. I like that it can be used to make beautiful ombre pastels or more concentrated for rich jeweled tones or combined with other colors to enrich them. COMMENTS: I bought the sample set and this color was included. I like the different colors and shades you get with this color with white and clear m&p bases. COMMENTS: I am a new soap maker and I found that not only was the colorant easy to use but performed very well in my bases! The orange is more of a true orange with a subtle yellow tone to it. I will definitely purchase this again! COMMENTS: Perfect for creating a light peach color when you use very little. COMMENTS: The liquid dyes are the way to go, in my opinion. They are the easiest to measure and stay consistent and the colors stay nice and vibrant. COMMENTS: It's very nice color! COMMENTS: Good in melt and pour. "Beautiful color no mess "
"Stained Glass Sunflower Orange Liquid Color"
COMMENTS: Perfect for coloring clear bases such as liquid soap, shower gel and body washes...just a couple of drops is all you need. COMMENTS: used it in MP soap clear base and it looked lovely. Great Color. Favorite orange. COMMENTS: Color last and dose not fade! COMMENTS: Nice orange color. Mixes well with M&P. COMMENTS: Loved the color, we used it in our Peach Bath Bomb. Looks amazing! COMMENTS: Great Value for your buck. Love this liquid coloring. COMMENTS: Works great in my lotions. I also use it to color my bubble bars. Blends great with other colors and makes a pretty bar. COMMENTS: A great orange color! COMMENTS: A bit of this in my calendula MP clear soap base it perfect. Will keep buying it. 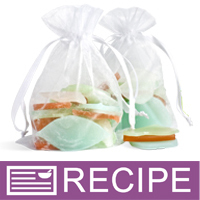 COMMENTS: I make cold process soap and this is for melt and pour so I can't give a review. COMMENTS: Excellent colors. Very bright and vibrant. 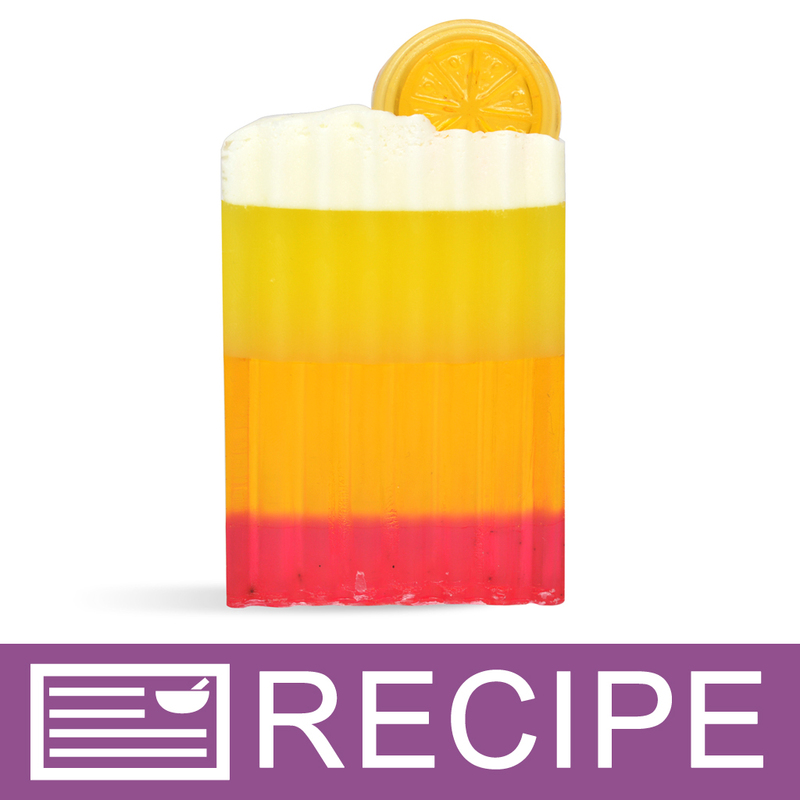 Loved this in melt and pour soap as well as shower gel coloring. Love it! "Stained Glass Sunflower Orange Liquid Color - Rev." COMMENTS: Beautiful color to my soap. COMMENTS: Beautiful color & you don't need to use much to make great color. 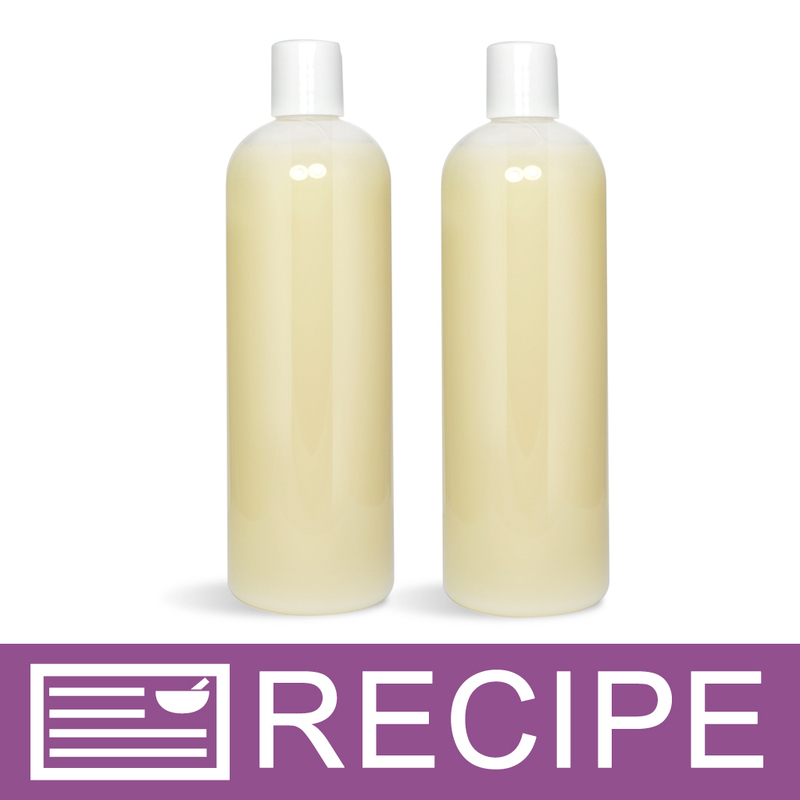 COMMENTS: My personal favorite color for using in my scrubs and MP soap projects. It works great and very easy to work with. COMMENTS: Makes lots of great shades of orange! COMMENTS: Liquid samples work perfect for what I need. COMMENTS: I love the vibrancy of this color, it works great for the georgia peach scent that I purchased. COMMENTS: Great Orange Color. Goes from a yellow to orange depending on the amount you use. 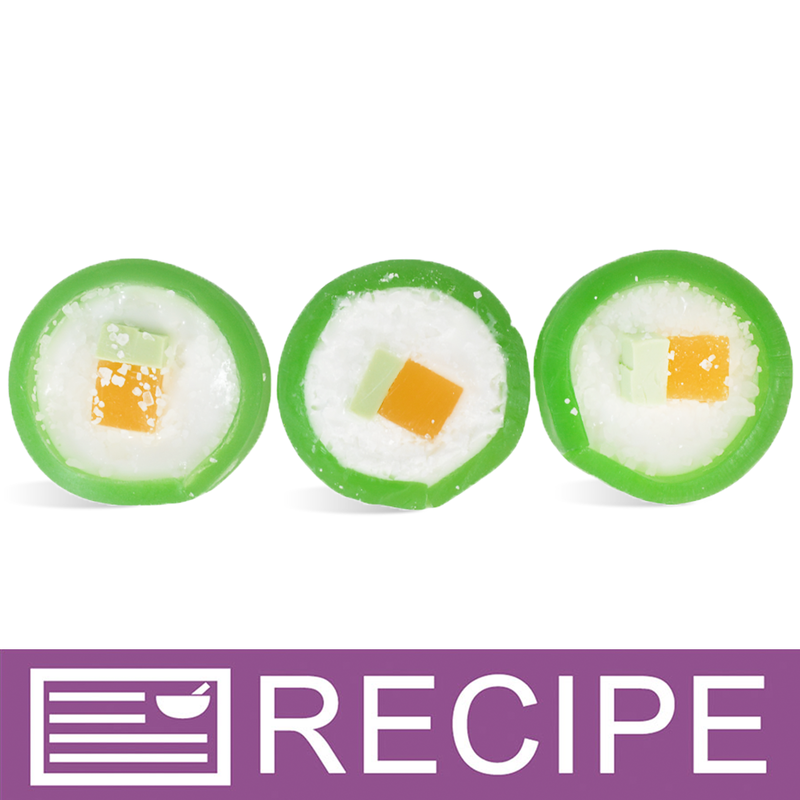 It works great in my Orange Creamcicle Soap. Add some Gold Mica and its a very nice Harvest Color for fall. 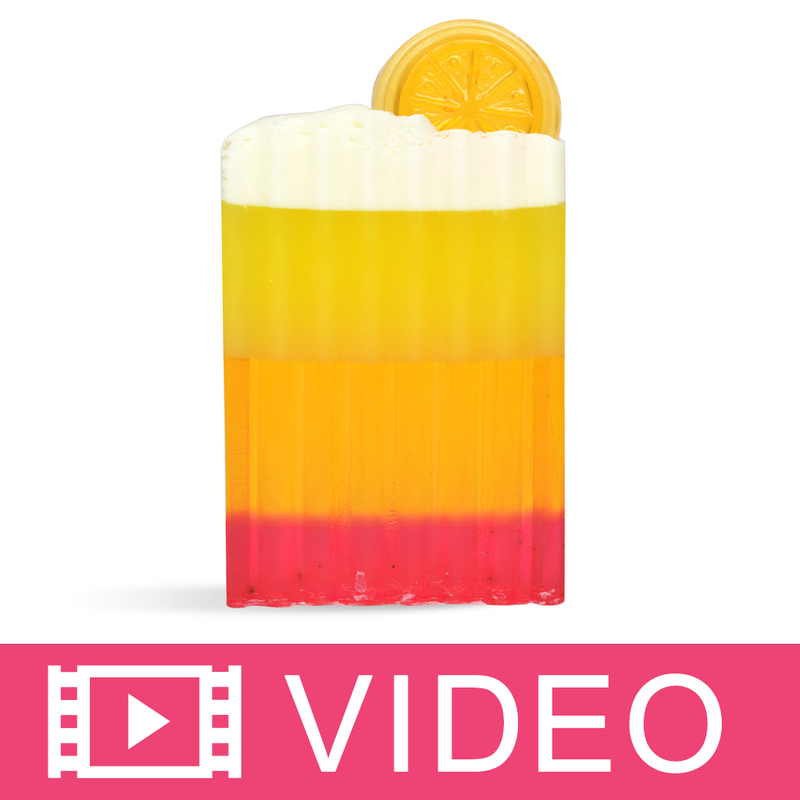 "Perfect Color for Sweet Orange Cold Process Soap"
COMMENTS: I have used this several times in my sweet orange essential oil cold process soap. Makes a perfect colorant, not too dark or light but somewhere in between. "Accent color, not one of my primaries"
COMMENTS: This is a dye that can take over a mixture. I use 1 drop with 2-4 drops stained glass lemon yellow for peach blossoms, orange blossoms, or other light orange batches. 1 drop added to lemon yellow and strawberry red produces interesting variations on cream when i want to differentiate vanillas from oatmeal or honey colored batches. COMMENTS: This was much lighter than I expected. I felt like I wanted to use more to achieve the color I wanted; however, I read that it would tint the water and could cause staining if too much is used. COMMENTS: I got this as a free sample and its so great! 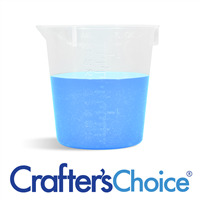 You need very little of this to color 8oz of product! It'll last a long time and the color it creates is beautiful in both clear and white bases! 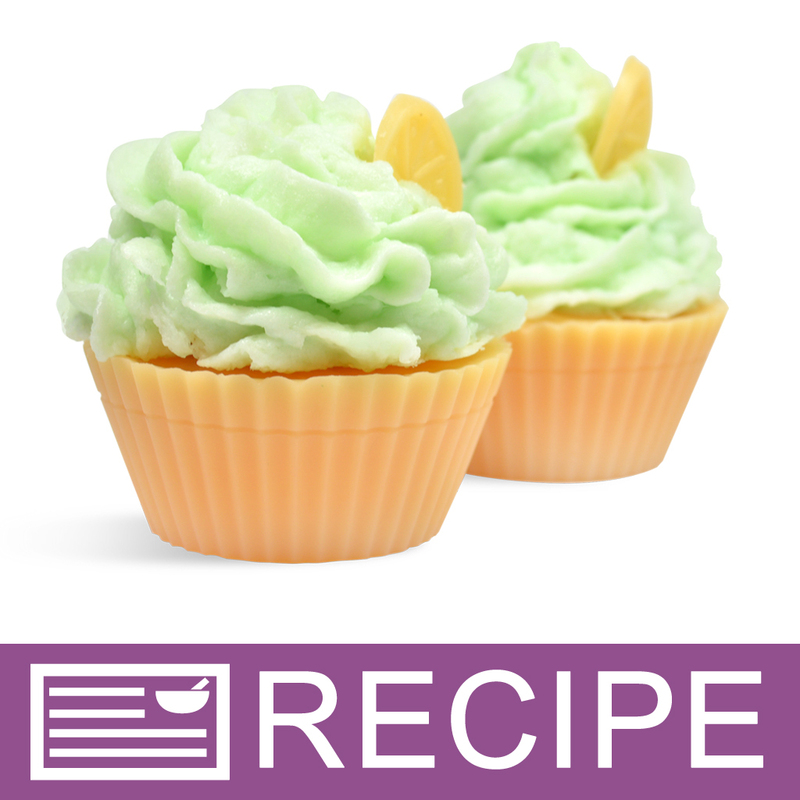 COMMENTS: This color worked great, I got it as my freebee on my last order and I added it to a cold process soap I made with carrot juice. Made the soap a more brilliant orange, incredibly easy to use and I have plenty left for another batch. No complaints and I’ll be ordering other liquids on my next order. COMMENTS: Excellent just about every product I have tried, color ranges depending on how many drops I use. COMMENTS: This is a great orange color and really pairs well with a lot of fragrances WSP has to offer. COMMENTS: Beautiful Orange color. Did not fade in my MP Crafters Choice Soap. COMMENTS: I use the Sunflower Orange liquid in my DF Goat Milk M&P and it provides the perfect creamy yellow color I wanted. so easy to use. "Beautiful color and easy to use!" COMMENTS: I used only 3 drops in about 3.5 ounces of white MP soap base. It created a beautiful pale orange color which was exactly what I was looking for. 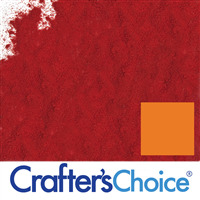 COMMENTS: great color for my Cranberry Chutney sugar scrubs. "Stained Glass Sunflower Orange "
COMMENTS: This is a very true orange liquid color. I have found that when I use it in white MP base, it produces more of a yellow/orange color. This color works perfectly in my brightly colored spring and summer projects! Easy to use and bright strong color! A+! COMMENTS: This is a perfect color for all those summer flowers and Halloween! COMMENTS: I love this color in my bubble bath, just stunning!. "Was a great peach/orange color"
COMMENTS: This liquid was very easy to use and helped in obtaining the correct shade of color. I will continue to use. COMMENTS: i'm a huge fan of orange shades and this dye produces some really great ones. i start with just a couple drops and then add more if i want to get a deeper color. the sample size lasted me a long time! COMMENTS: Really pretty but not florescent! "Wonderful colorant - Used Everyday"
COMMENTS: I only use liquid colorant and these are perfect! True colorants and I don't need to use the entire bottle to color a product. Buy these and you will be happy too. COMMENTS: This product lends itself perfectly for use as a pastel peach or a true orange. The color is unmuddled without being too bright. "Can this be mixed with shea butter or cocoa butter? 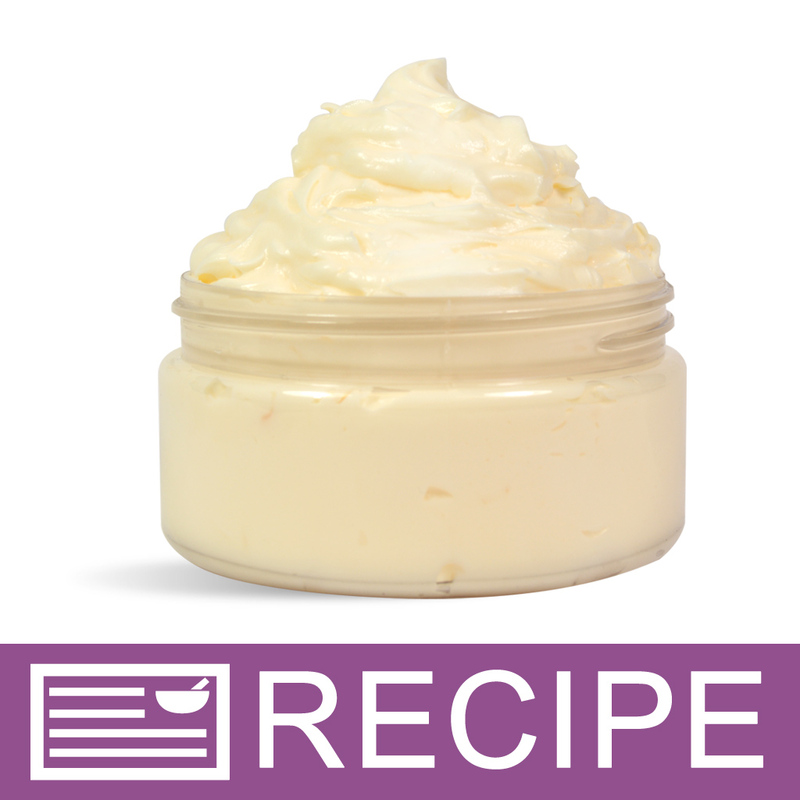 Are there other colors that are recommended for mixing with these butters and other butters?" Staff Answer The Stained Glass colors are water based and will not mix well with butters and oils. You do need to check each powder, but the micas can all be mixed in oils. "Can these be used in candles?" Staff Answer This is a water based color and cannot be used in candles. You need to use color specifically made to be used in candles which we do not sell. "For those who use stained glass colorants in bath bombs, do you recommend the stained glass liquids or the stained glass powders?" Staff Answer We typically recommend using a powder colorant because any liquid added to the product may cause a premature chemical reaction. "i have these liquid colors to color my handmade soaps and lotions, scrubs and bath fizzy what is the FDA law how to write on the product label this color should i write skin safe colorants on the finished product or there is different way of i should write"
Staff Answer Hi Sandeep - the FDA requires all ingredients be listed on cosmetics in descending order of predominance. The ingredient listing for Stained Glass Sunflower Orange Liquid Color is "Water, Propylene Glycol, Benzophenone-4, Triethanolamine, Tetrasodium EDTA, Methylparaben, Propylparaben, Yellow 6." 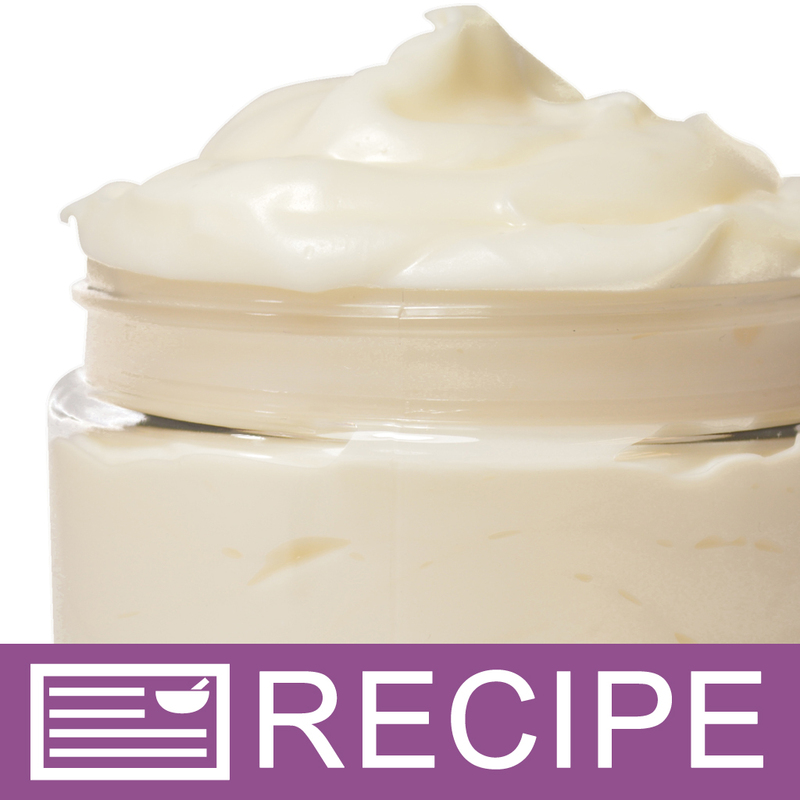 Your label should include these ingredients in addition to the other ingredients used to make your cosmetic. For the ingredients for other liquid colors, click on the "Ingredients" tab for that product. "Can this be used to dye bath salts?" Staff Answer Yes it can, however, because it is a liquid it may absorb unevenly. I would recommend using a powdered colorant over a liquid colorant.